This photo shows 2614 as it arrived at the yard from the auction in Londonderry. 290 seen here minus the back axle,engine and gearbox. 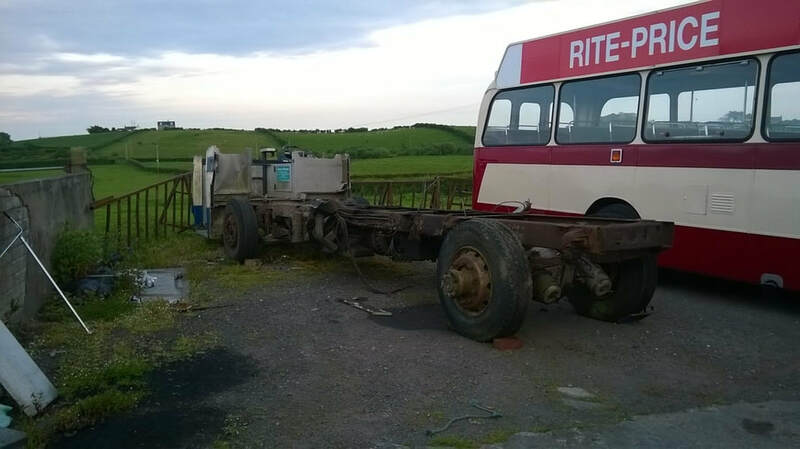 This Leyland Tiger was purchased at the auction of the Lough Swilly bus Company in June 2014. It was acquired to break it up for much needed gardner engine spares for 2635. This process has nearly finished with the removal of the final body sections in the last few weeks. It is hoped to start removal of the mechanical components when the weather and time permits. This bus /chassis was acquired more or less minus its bodywork. Only the front panels and steps/cab area survived. The chassis has sat outside since the body was removed in 2006 and the rust had started to set into various cross members and other components. The engine had already been sold off by the chassis's owner before we purchased the remains. 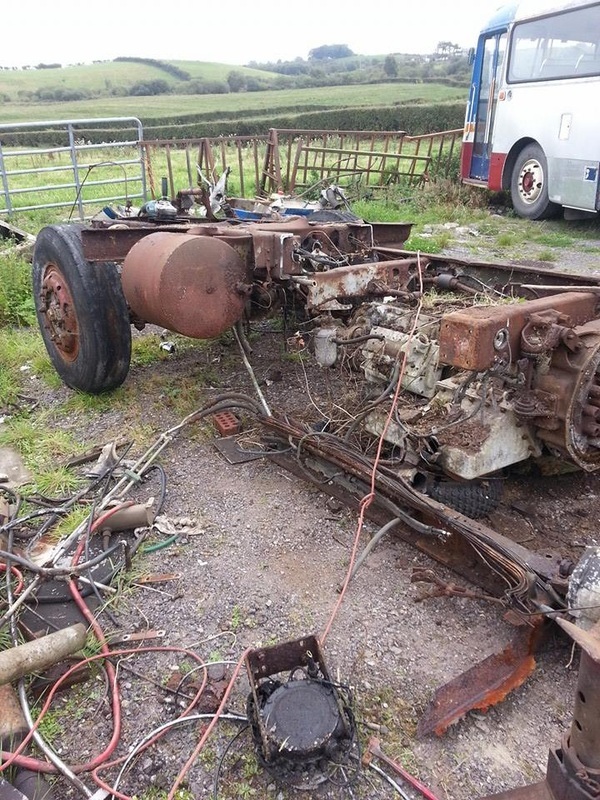 All useful parts have been removed (axles, gearbox, radiator, steering box + rams) The chassis was then cut into small enough parts to fit into the scrap metal skip.